Mathieu Lacroix is a Canadian-born composer, producer and sound programmer. In 2010, after years of playing drums in several bands, he moved to the medieval capital of Norway, taking one year to learn the language before starting a bachelor’s and later a master’s in Music Technology at NTNU. He has studied composition with some of Norway’s leading composers, such as Terje Bjørklund, Henning Sommerro and Ståle Kleiberg, and has studied electronics with the like of Øyvind Brandtsegg, Trond Engum and Andreas Bergsland. He has worked as a composer, producer, sound technician and sound designer with many different groups and artists, such as Kammerkoret Aurum, Terje Bjørklund, Kaija Saariaho, Trondheim Symfoniorkester and Manes. 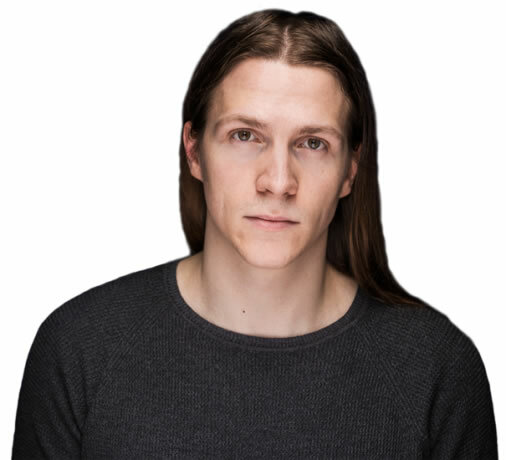 He currently holds the position of PhD Candidate at NTNU, working in the field of mixed music and exploring the influence between electronic and compositional processes in contemporary music.